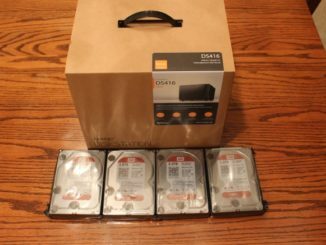 I recently added a DS1815+ to my home lab environment and wanted to migrate my DS1512+ RAID6 configuration to this new DiskStation. I wanted to do this without a lot of hassle and without losing any of my data on this array. 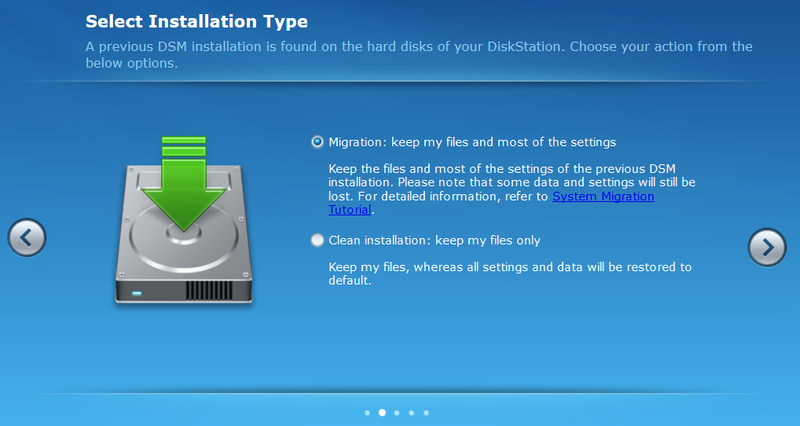 Using the info I gathered from that I performed the following 13 steps to complete my Synology DiskStation Migration. Remember, RAID is not a backup. If you can’t stand to lose something, back it up first! 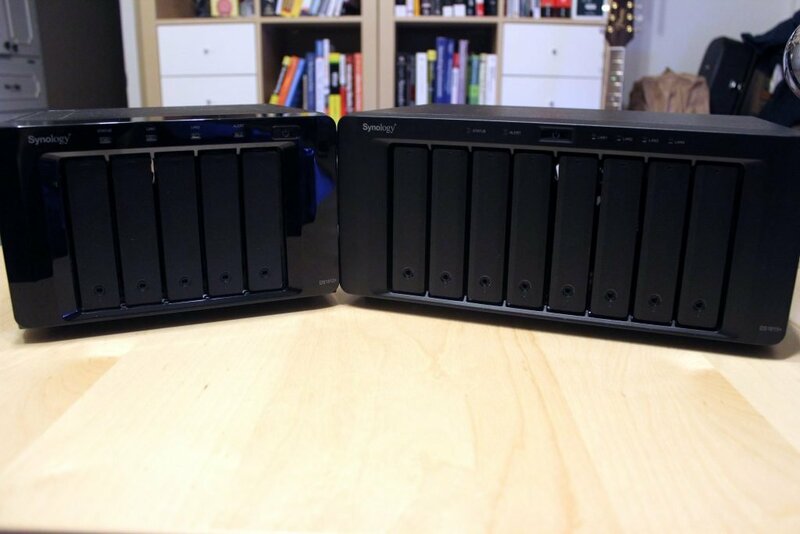 Use an external drive, another Synology unit – whatever you can. I didn’t lose any data on my migration, but things can and do sometimes go wrong. Use the Backup & Replication section of the DSM to perform a backup of any data you can’t live without! 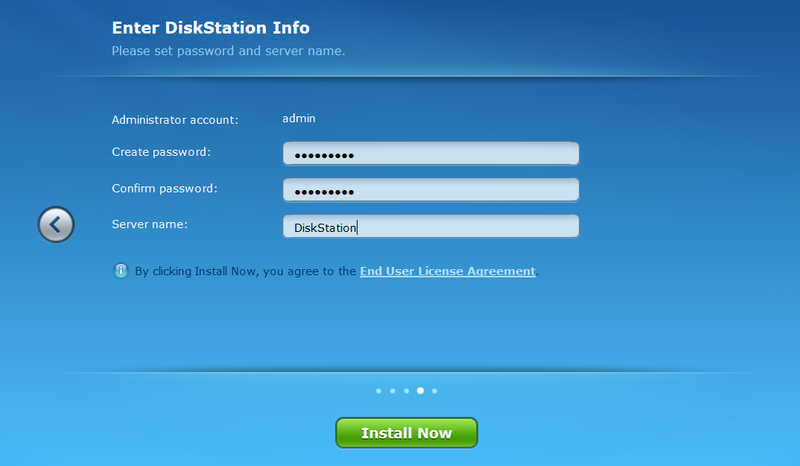 When you load up your new DiskStation, it will be on the latest version of DSM. 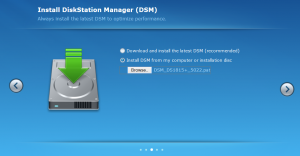 So, you need to make sure your current DiskStation is also on the latest version of DSM to ensure a silky smooth DiskStation migration! Use the DSM Update section of the Control Panel to make sure you are running the latest version of DSM. 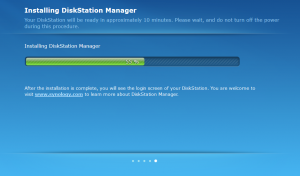 You can get the latest version of DSM for you DiskStation from the Synology Download Center. If you’re like me, you likely have your DiskStation tweaked with a lot of settings to suit your environment. Use the Configuration Backup section of the Control Panel to back these up to an external location. OK, our data is backed up, our configuration is backed up, and we are running the latest version of DSM. Time to shut our old DiskStation off! You’re going to need some workspace to get these drives transferred, so get your orginal DiskStation and new DiskStation together. Both units should be powered off and disconnected for this. 6. 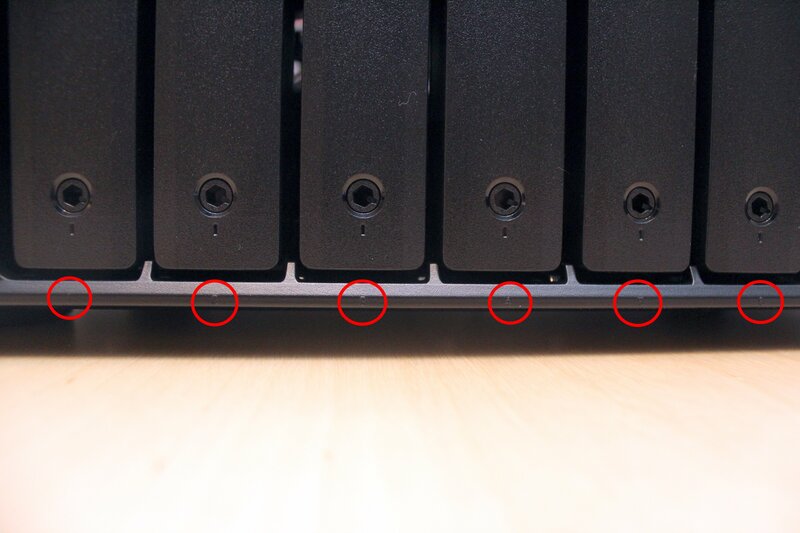 Identify drive order – IMPORTANT! 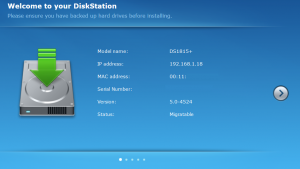 You must migrate the drives to the same drive location bays. They can be hard to see so I’ve highligted them with red circles in the picture below. So, when you pull a drive out of bay #1 on the original unit, it must go into bay #1 of the new unit! 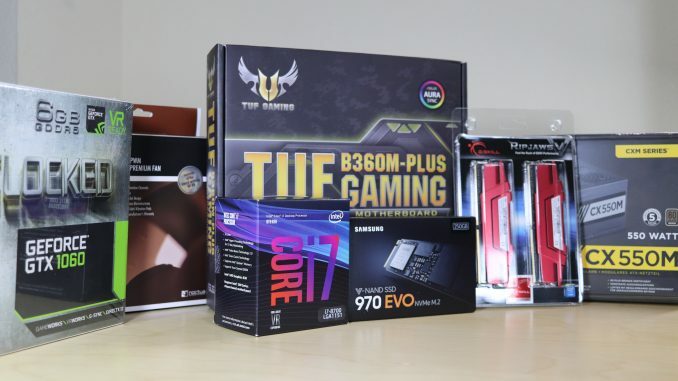 Grab a screwdriver and start swapping. In my case, the drive caddies were not interchangeable so I had to dismount and remount the drives into the new caddies. 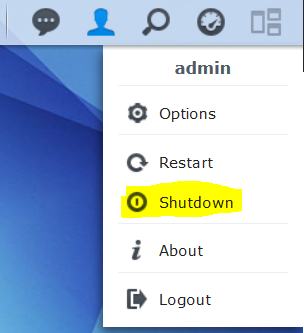 If you don’t have Synology Assistant installed you can get it from the Synology Download Center. 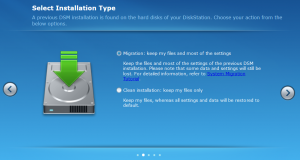 Double-click on one of your migratable DiskStation links. (Note in the example I have four because the DS1815+ has four NICs – it doesn’t matter which one you double-click). 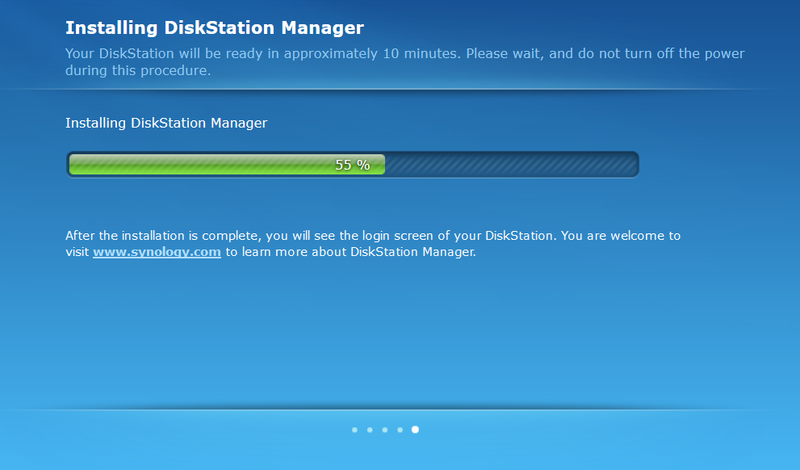 The Welcome to your DiskStation wizard for DSM setup will open. There are two choices, one of which can result in potential loss. Make sure you choose the appropriate one. In my case, I wanted to keep everything exactly the same. If you haven’t already downloaded the DSM for your new DiskStation you should do so now. You will need to reference it on this part of the install. You can get the appropriate DSM from the Synology Download Center. 13. Complete DSM install and enjoy your new DiskStation! In my experience this worked perfectly. 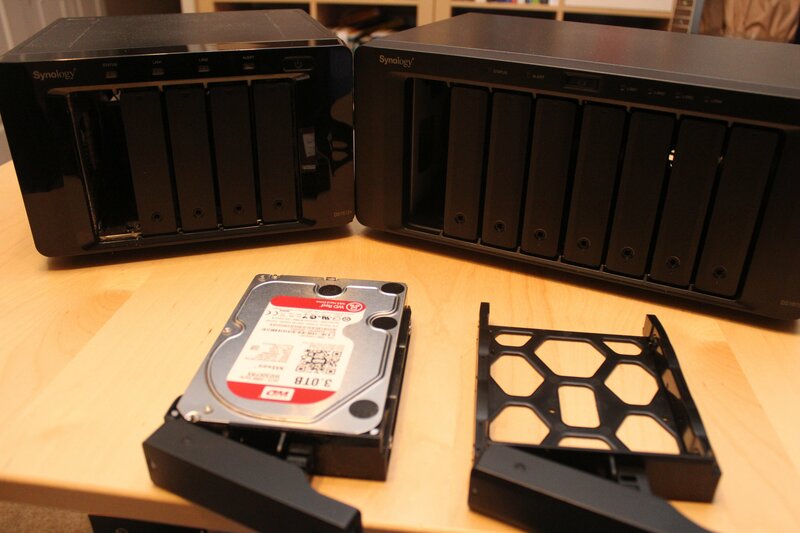 My RAID6 was completely intact and all Synology settings were identical. I had to setup the new NICs and I was done. 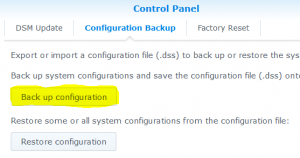 Synology advises that certain features are not able to transfer like Auto-Block settings and Mail Station settings. 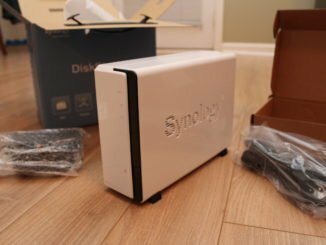 So, make sure to review the knowledge base article here: How to Migrate Between Synology DiskStations for all the limitations. I’ve seen around the web that Photo Station database will probably not carry over. 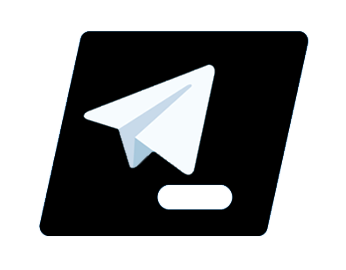 This causes loss of metadata that is not saved directly to image files, as well as Smart Albums. 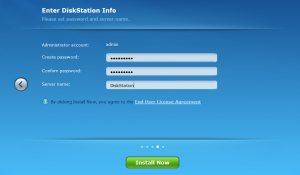 Did you have PhotoStation set up and did you have any issues with it after the migration? I use it extensively. 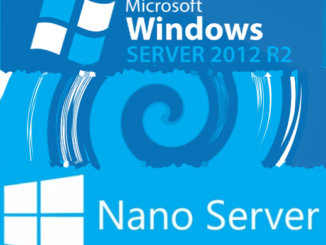 I followed this procedure to migrate from a DS212j to a DS218+. Worked very well. I had a few minor irregularities. Synology Assistant initially couldn’t find the NAS. I had it search again and it found it. 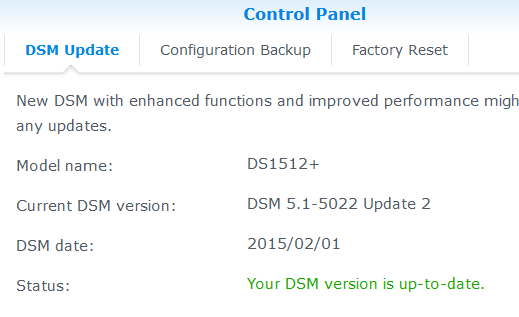 When I got to the DSM update step, I just let it perform the update rather than do a manual update. I had downloaded the latest version of the DSM for the DS218+, and could have done it manually. Once the NAS was done migrating, I checked and it had the latest version but not the latest update (DSM 6.1.4-15217 Update 1, instead of Update 5). So the first thing I did after migration was perform another DSM update. Not sure whether the first update didn’t happen, or it didn’t grab the latest update. Might have been better to do the manual update process. Then I went into Package Center and did a “Repair All” on all of my installed applications. Everything seems to be working as before. Surveillance Station looks like it needs to be setup again, but I hadn’t updated it before the migration, and it had been turned off for a while, so I’m not positive that everybody would have to set it up again. I added an additional step. After powering off the original NAS, I went into my Router and changed the name and IP address of the old NAS in the “DHCP reservation” table. Then I set up a new DHCP reservation so the new NAS would have the same name and IP address. Probably not necessary, but I minimize any changes that other devices or software would be exposed to. I just recalled that the NAS did reboot after updating, so I am pretty sure it did grab a version of the DSM, just not the latest version.